I'm just about to put my Maple Customs up for sale on a few sites. 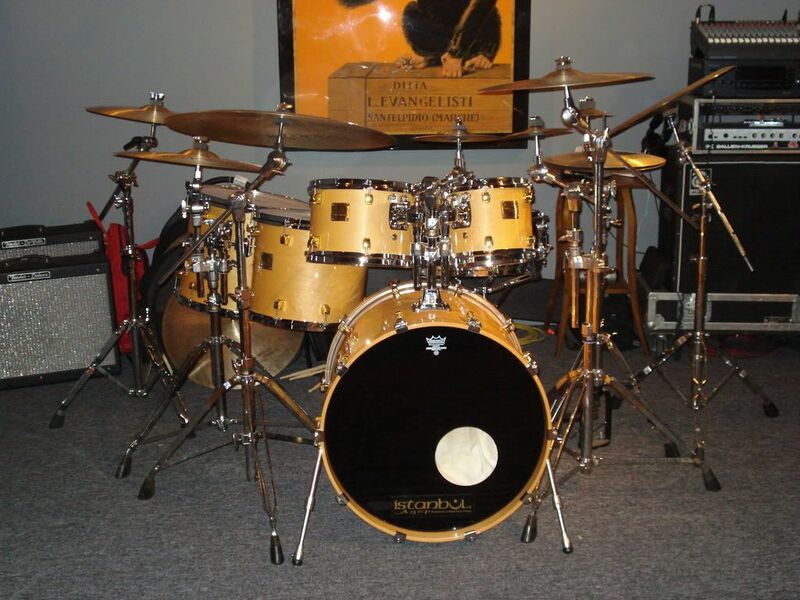 I ordered the drums directly through Yamaha back in 1997 with help from Stan at Hollywood Drum Shop. They have always been stored in a climate controlled studio and are in great shape. These drums have been played by many HOD members including Steve, Derek, Sammy J, Danny, and many more at the HOD Hangs I have hosted and can attest to the great sound and playability. Sizes are 8X8, 8X10, 12X14, 14X16, and 18X22. The 14X16 floor tom is now on YESS floor Tom mounts with legs. I have the YESS mounts for the 12X14, but never got around to installing them. 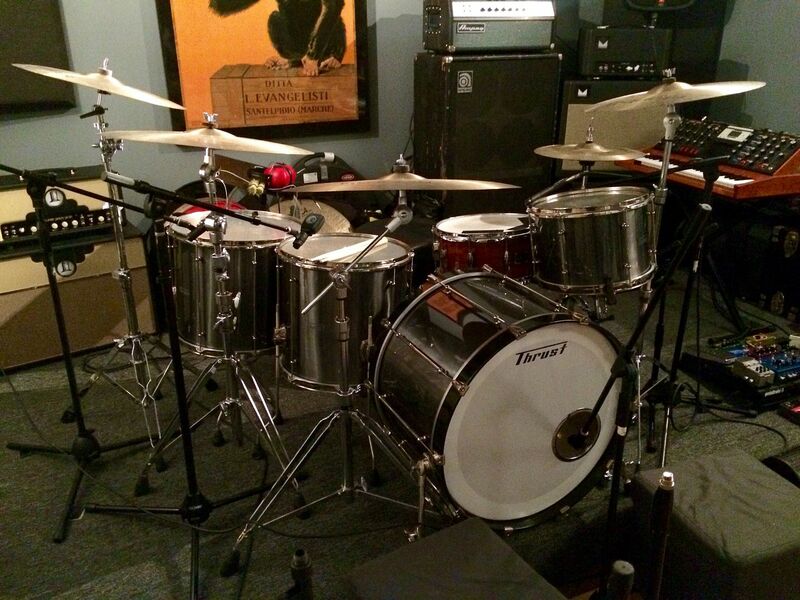 I'm selling the shells and mounting hardware (no snare) for the rack and floor toms. I'm asking $2,800. If any HOD brothers are interested let me know! That's a nice kit Scotty. You still have the gretsch? Several weeks ago I contacted Don Bennett who owned a music store in Washington state. 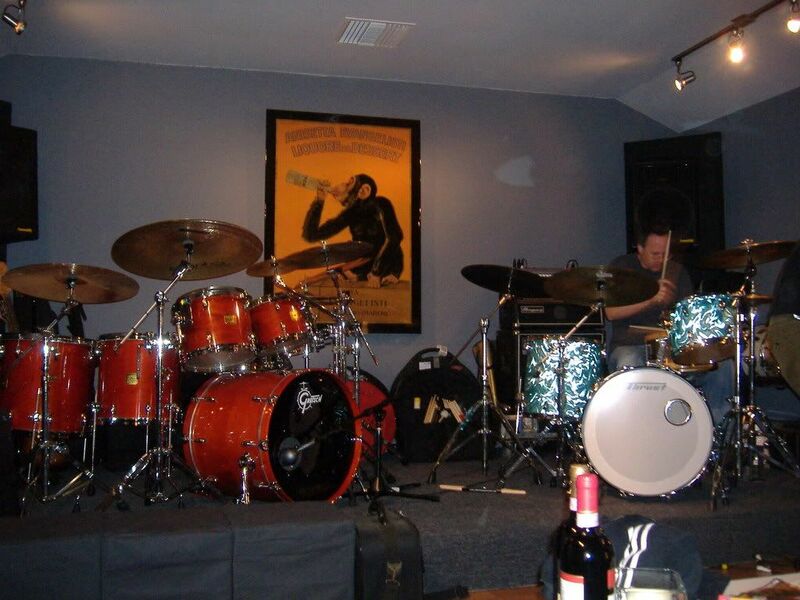 He is selling a set of my father's cymbals that were stolen from us after he passed away. I tried to explain that the cymbals belong with my family, not being sold on Ebay for 30k, as he has been trying to do for quite some time. He pretended he didn't understand what I was saying..and I explained further. I was very nice and asked if after he was gone and vultures were selling off his property without permission, how he thought his family would feel? He left me a vm yesterday saying he was not going to give them back, and would continue to try to sell them.....I'm appealing to all of my fb friends to pass the word on this and NOT dignify this blatant disregard of me and my family and most of all Buddy's wishes! Thank you. All in Very Good condition ( minor small bite out of the back cover of Dennis Chambers book. See ebay pic). Some light wear on the cover of The New Breed. - The Breakbeat Bible and Gary Chaffee's Rhythm and Meter Patterns have never been opened. Both have the included cd's that also were never opened. Rick Latham's Advanced Funk Studies does not have the original cassette tapes. The other books, if not mentioned above, did not originally come with media. A great collection of intermediate to advanced books that will give you material to work on for years. Selling this 20" K Istanbul Intermediate Stamp. Some keyholing. 1894gr. Holy grail of rides. 800 shipped? No trades.